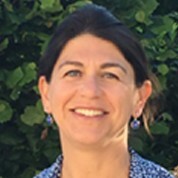 Dr Bernadette Abela-Ridder works in the Department for the Control of Neglected Tropical Diseases (NTDs) of the World Health Organization (WHO) as the team leader on neglected zoonotic diseases and responsible for one health aspects of NTDs. Bernadette previously worked in the WHO Department of Food Safety and Zoonoses leading an integrated capacity building network, the Global Foodborne Infections Network (GFN) and was the WHO focal point for the FAO, OIE, WHO Global Early Warning System for transboundary animal diseases, including zoonoses (GLEWS). She also managed the study to estimate the global burden of leptospirosis in humans. She is closely involved in advancing common areas of work of the FAO, OIE and WHO with regard to zoonotic, food safety and other risks emerging at the human-animal-ecosystem interface. Bernadette is a veterinary epidemiologist by training and previously worked for the US Food and Drug Administration on antimicrobial resistance, for l’Institut de recherche pour le développement (IRD) in Cameroon on emergence of simian immunodeficiency viruses from non-human primates including bushmeat, the Food and Agriculture Organization of the U.N. on veterinary public health, and in clinical veterinary practice.